Cost to test for radon and remove it varies greatly by region (and even by zip code). Get free estimates from hazardous materials contractors in your city. Cost to test for radon and remove it varies greatly by region (and even by zip code). Get free estimates from hazardous materials contractors in your city. The average cost of removing radon is $1,150. How much does it cost to test for radon and remove it? Radon 1 is a gas given off by the decomposition of uranium, which naturally occurs in igneous rock and soil. It has no taste, odor, or color, and cannot be detected without testing. Because radon is radioactive, it can cause lung cancer in people who are exposed to it for several years. In fact, radon gas is the second leading 1 cause of lung cancer in the United States after cigarette smoke. People who live in homes where radon gas is present have a high chance of developing lung cancer within 10 years, and people who smoke have an even higher chance of developing lung cancer due to the presence of radon 2. 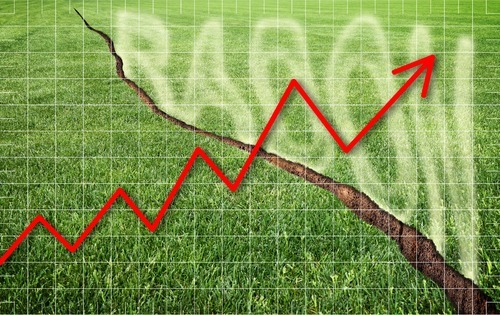 Radon gets into your home as the soil or rock beneath your home breaks down over time. This is a naturally occurring process that can happen anywhere at any time. The gas that’s emitted by the breakdown of the uranium rises as it’s produced, flowing straight into the air in your home. It’s estimated that 1 in 5 homes across all 50 states have elevated levels 3 of radon. The only way to find out for sure if your home is affected is to have a radon 2 detection test performed on your air and well water. Radon detection tests are fairly easy to carry out. Some can be done DIY, while others may require professional assistance. The location of your home, whether or not you have a well, and whether or not you choose to do the test yourself will all impact the final cost. The average cost for testing for radon is around $110, while mitigation services average around $800. Radon is a naturally occurring gas, which means that it isn’t produced by anything that you do or bring into your home. Instead, it’s given off by decaying uranium, a naturally occurring, radioactive element found in some igneous rocks like granite. Depending on the location of your home, you may have igneous rock in the soil beneath your home. If so, and if this rock contains uranium, then over time radon gas may be produced. The gas seeps upward into your home through the ground. It may also seep into your well water, contaminating it. Radon is the second leading 1 cause of lung cancer in the US. Living in a home with radon gas present in the air or in the water can increase your chances of developing lung cancer over time. The risk is elevated in children due to their more rapid rate of respiration and cell division. Radon gas is considered a national, environmental health hazard because it occurs so frequently and in all areas of the country. Radon gas is considered a national, environmental health hazard because it occurs so frequently and in all areas of the country. You can find out more about typical levels 3 in your area, by visiting the radon map either you or by a professional company. Short term testing of the air takes about four to seven days, and if done DIY costs only about $15. This is done by a kit which involves opening an envelope or can, hanging it up about two feet above the soil line to allow any gas to permeate the charcoal within, sealing it and mailing it in. Results arrive online within a few days and can tell you your radon levels 3. There are times, however, when you may need professional testing. This may be because you suspect a problem and want mitigation services from the same company, or it may be because your mortgage company or insurance company have ordered the test. A short term test conducted by a measurement and mitigation company is around $110 and also takes four to seven days for results. Continuous monitoring, or long term monitoring, is an electronic reading that gives very accurate results by testing the air once an hour for 90 days. This is usually done after mitigation services have been completed to ensure that they are successful at removing the radon from the air. This test costs around $150 to $225 to perform. A high radon reading is considered anything at or above 4 picocuries per liter (pCi/L). If your radon test comes back at this level 3 or higher, you will want to invest in a radon removal or mitigation system. There are several systems to choose from depending on your property type and how high the level 3 is. Radon is actually pulled or forced into your home due to pressure. Therefore, most systems make use of this pressure to continue to force the gas up and out of your home through safe passageways, rather than allowing it to mix with indoor air. Installed properly, a radon removal system will remove as much as 99% of the radon in your home within minutes. Fan assisted radon removal is the most common method. A fan is installed either on the exterior of your home or in the attic, while a pipe is put in leading 1 from your basement or slab up through the top of your home. The fan pressurizes the air in the pipe, forcing the radon up and out the pipe where it leaves your home without ever mixing with the air indoors. The average cost of fan assisted removal is between $800 and $1,200. Passive radon mitigation is used in new construction. This involves pipes being laid in the foundation, which create a natural vacuum, directing the radon out of your home without fans or a system that needs to be maintained. Passive radon mitigation is in a new structure is fairly inexpensive, costing around $350 to $500. If you have a crawl space beneath your home, the most effective means of stopping the radon is a vapor barrier. This is a tightly sealed layer of thick plastic, which covers the soil in the crawl space so the radon can’t get through. 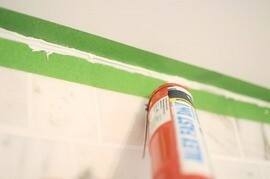 Other methods of sealing up cracks and spaces may also be used, such as caulk 2. Sealing alone is not always effective, however, particularly if radon levels 3 are high. In some cases, sealing and vapor barriers are combined with a fan assist to remove the remaining radon from the area. Vapor barriers are one of the least expensive methods of dealing with radon in an existing home, costing around $500 to install on their own, or around $1,300 if combined with fans. Active soil depressurization or ASD is a means of creating a vacuum beneath the entry point to your home, which then directs the radon out to specified points. You can have an ASD system installed sub-slab, sub-soil, through a block wall, drain or hole, or sub-vapor barrier depending on the type of foundation your home has. Costs range from $800 to $1,500 for most ASD systems, depending on the type you have installed, and whether or not a vapor barrier 3 is required. Depending on the type of system you have installed in your home, you may need to perform annual maintenance to keep it working properly. Fan assisted and ASD systems use electricity to power the removal of the radon, and have working parts that can become worn out. A yearly inspection and maintenance at between $100 and $200 can help keep the system working properly. If you have a well on your property, you may want to get it tested for radon as well. Well water testing starts at around $40 for an at-home kit, which you will mail or drop off at your local water testing location. If necessary, radon mitigation systems can be installed on your well for a cost of around $4,500. If you are in the process of purchasing a new home and are using a private mortgage lender, you may be required to have radon testing done by a professional service prior to closing on the loan. There are no immediate health symptoms that may alert you to the presence of radon in your home. Exposure takes many years to cause problems, but it is still a good idea to have your home tested and to limit your exposure to this gas. Keep in mind that any system that uses a fan will require electricity to run. This can lead 1 to an increase in your utility bills each month. Some passive systems may save you money over time if you are able to have them installed in the type of home or building you own. Depending on the system you choose, you may find terms such as “mitigation”, “removal”, and “reduce” used interchangeably. Choose the system best setup for your property; all methods that are properly installed will reduce radon amounts by as much as 99%. How much does it cost to test for radon and remove it in my city? Cost to test for radon and remove it varies greatly by region (and even by zip code). To get free estimates from local contractors, please indicate yours.